Professor Michael Pal researches primarily the law of democracy, comparative constitutional law, and election law. He publishes in law, political science, and public policy. He is currently the Director of the Public Law Group at the Faculty of Common Law. He has recently presented his work at Yale Law School, the McGill Faculty of Law, Osgoode Hall Law School, and NYU School of Law. He has recent or forthcoming publications in the McGill Law Journal, Election Law Journal (U.S.), Kings Law Journal (U.K.), Supreme Court Law Review, Review of Constitutional Studies, Canadian Public Administration, and a chapter in a forthcoming anthology on the Canadian Constitution at 150. He is currently working on projects related to voter suppression, electoral management bodies, election administration in democratic transitions, and democratic theory. As Director of the Public Law Group, he oversees the activities of the Group and has recently co-organized conferences on electoral reform, non-resident voting rights, and the Group's Speakers' Series and Works in Progress seminars. Professor Pal is also a Fellow at the Mowat Centre for Policy Innovation in the School of Public Policy and governance at the University of Toronto. In 2017 he served as a Commissioner with the Far North Electoral Boundaries Commission for the Province of Ontario, whose recommendations to add two new seats and to create the province's first Indigenous-majority riding and second francophone-majority riding were adopted by the Legislative Assembly of Ontario. He has advised all levels of government on matters relating to election law and constitutional law, as well as election commissions and electoral boundary commissions. He appeared before the House of Commons and Senate Committees studying the Fair Representation Act. He has published in the media on topics related to his research, including in the Globe and Mail, Toronto Star, National Post, Ottawa Citizen, and the Hill-Times and appeared on TVO’s The Agenda. He is a past member of the Board of Directors of the South Asian Legal Aid Clinic of Ontario. 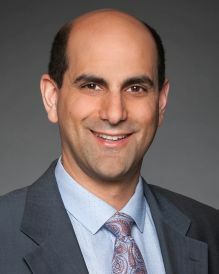 He previously clerked at the Court of Appeal for Ontario for Justices Moldaver, Blair, Goudge, and Feldman, and worked in a national law firm in Toronto. His recent research funding includes a 2016 SSHRC Knowledge Synthesis Grant with Elizabeth F. Judge on big data politics and the implications for voter privacy, a SSHRC Connections Grant with Carissima Mathen for a conference on electoral reform, and a grant from the Ministry of Intergovernmental Affairs for the Province of Ontario for research on the representation of Indigenous Peoples in federal and provincial elections.